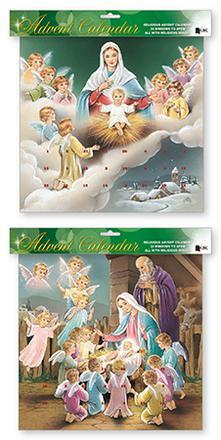 CATHOLIC GIFT SHOP LTD - Glitter Advent Calendar / 2 Angel Designs. Glitter Advent Calendar / 2 Angel Designs. Mary & Baby Jesus and angel Christmas advent calendar with glitter.